Springbank Farm Lodges01946 822375work01946822375fax Self-cateringSpacious log cabins in tranquil farm setting with spectacular open views. Wheelchair friendly with ample parking. On-farm experience yet close to amenities, the beach, historic towns of Whitehaven and Egremont and the mystical Western Lakes. Double bedroom with ensuite, twin room with separate walk-in wet room. Open-plan lounge, dining and fully-fitted kitchen. Wide veranda to front and sides. Manx Lodge has room for z-bed for an additional child. Sleeps from 4/5 and cot. Complimentary welcome pack Fairtrade tea and coffee. 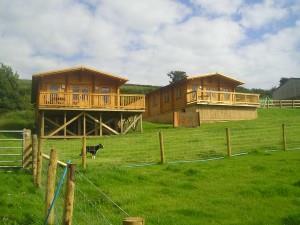 We are particularly keen to make our farm and lodges accessible to people with disabilities. Arrival time 15.30, departure 11.00, week Sat-Sat, short breaks.